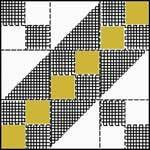 Even though this ribbon border has a definite modern appeal, it has been used for decades to border almost any traditional style of quilt pattern. 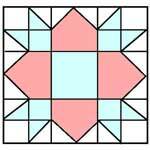 Using the predominate quilt color for the large pointed border and using complementary colors for the three small colored blocks, this border blends neatly with any quilt's color scheme. 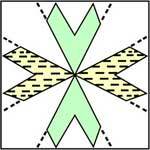 The outer edge of this ribbon border pattern is often finished with a plain binding, scallops or prairie points. 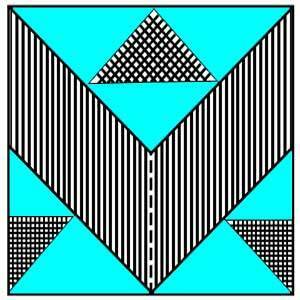 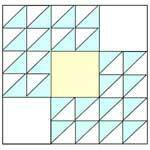 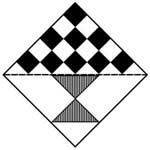 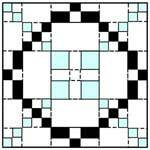 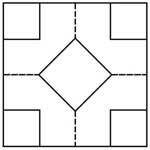 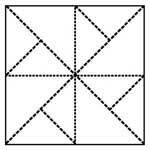 This basic quilt border shape is nine inches square, but the size could be adjusted as required to make up the desired width and length of the finished quilt. 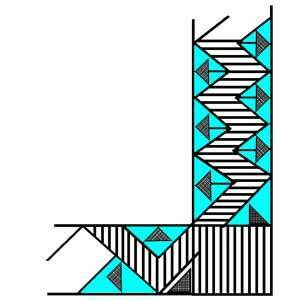 Click on the image to print the Ribbon Border Pattern.